CAMPUS ISSUES: Menstrual products are a basic necessity. Campus officials must prioritize their accessibility to students. 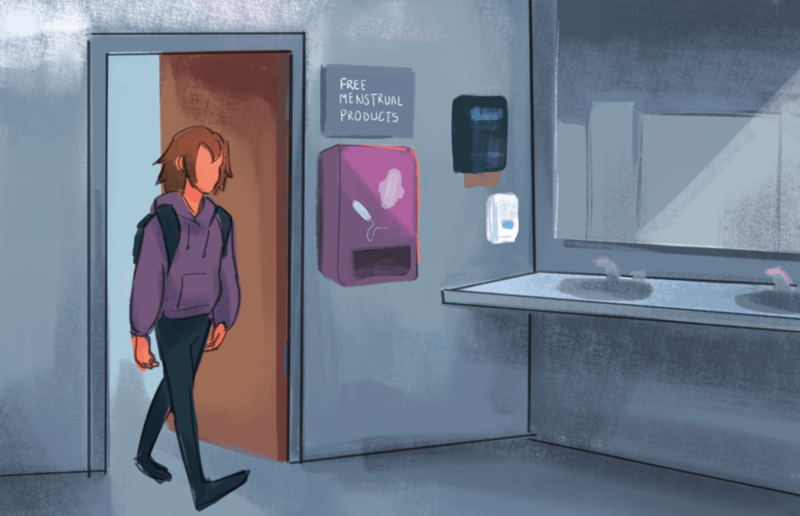 Last week, the Berkeley Unified School District board unanimously approved a policy that would require all girls’ and gender-neutral bathrooms to have free menstrual products — a mark of progress on the district’s part. But what’s alarming is that the world’s “No. 1 public university” has yet to follow suit in providing this basic necessity to community members. Since 1997, the San Francisco Transgender Film Festival, or SFTFF, has shined as a beacon of light from within the various locations that have hosted it. Its more than two decades of history are a source of pride for its organizers, filmmakers and patrons. I feared for my sister’s experience at a school so appalled by trans people that they weren’t allowed to show themselves to students or speak about their experiences because of some fear of it spreading or denial that they even exist. Now, many privileged communities strategically co-opt the concept of free speech to legitimize their open hatred of historically subordinated populations and to strategically disguise their prejudiced, dehumanizing ideologies as benign political opinion. Trump’s announcement is a reversal from a policy drafted by the Obama administration last year which would allow transgender people to openly serve in the U.S. military.